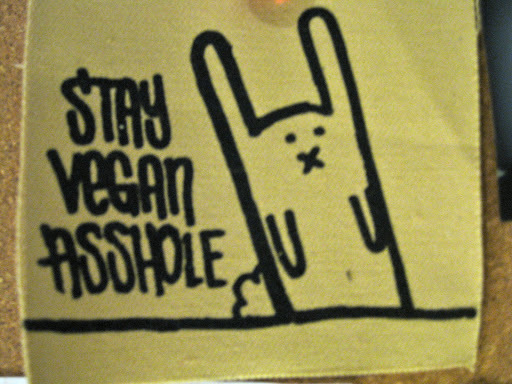 I found this little patch that I got at the sf zine fest last year when I went. I’ve been cleaning my place the last week ever since I got back from Brooklyn. It just cracks me up every time I look at this! Damn bunnies are cute! 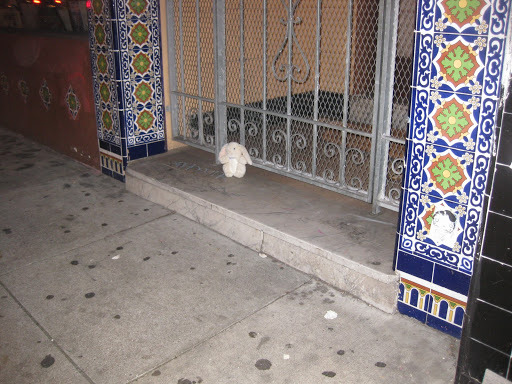 What’s even weirder is that I took this picture when I was walking home one night out and there was this stuffed bunny, just there. Lol. So random!